Lager beer is brewed using “bottom fermenting” yeast which sinks during fermentation. A storage period follows to ensure all the yeast has sunk to the bottom. Demands for a shorter storage period and increased productivity in large-scale breweries has led to the use of finings to accelerate sedimentation. The use of isinglass finings was originally confined to traditional British and Irish beers, brewed with “top fermenting” yeast which rises during fermentation. Spent yeast and other solids are precipitated by the addition of finings, either in the barrel (with traditional “cask conditioned” beer) or in bulk prior to filtering. Isinglass is a protein obtained from several varieties of fish. When added to the beer, the isinglass particles attract the yeast and tannins. The finings sink to the bottom, precipitating the solids to leave the beer clear and bright. Improved shelf life and temperature tolerance. Solutions can be prepared to meet demand. Formulation can be adjusted to give optimum results in a particular type of beer. The vessel is charged with liquor and the agitator is started. Flocked/powdered isinglass is gradually added to the liquor. Mixing continues for several hours to ensure hydration is completed. Further dilution may be required to give the desired working viscosity. Potential full yield is difficult to obtain using traditional methods. Isinglass flakes have a low density and can create a severe dust problem. 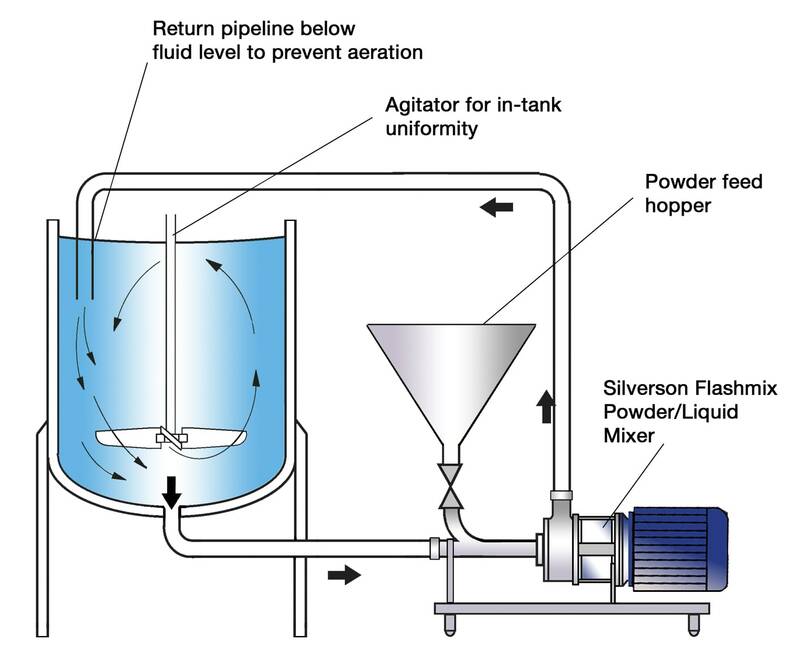 Floculated product is difficult to wet out, tending to float on the surface of the liquor. The vigorous agitation required to incorporate the isinglass can aggravate the dust problem and can cause foaming. Partially hydrated isinglass can build up on the vessel wall and the agitator. Long periods of soaking are required to complete hydration. The vessel is charged with the required amount of liquor. The mixer is started and the isinglass is added. 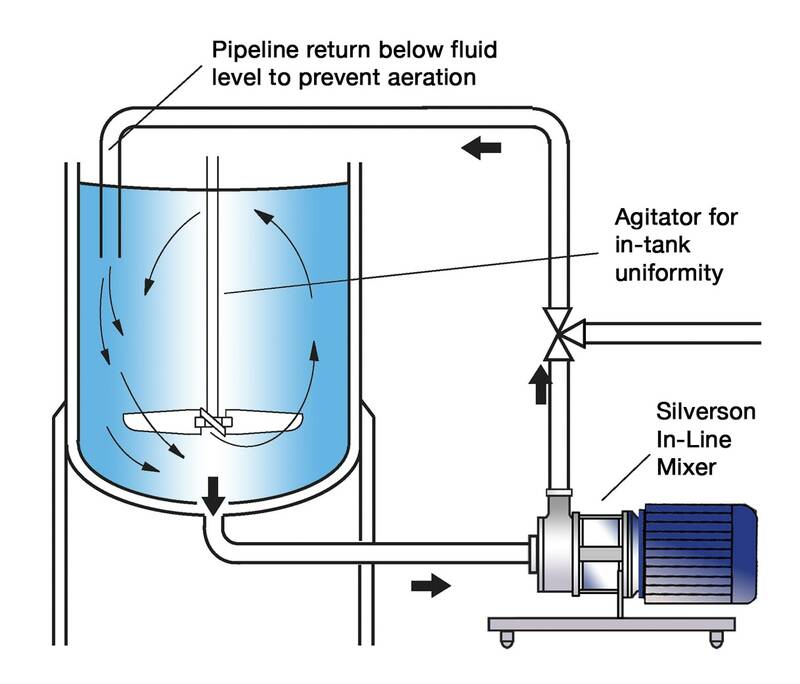 The high speed rotation of the rotor creates a powerful suction which draws water and the isinglass particles into the workhead. The materials are subjected to intense shear within the workhead. Any agglomerated particles are fully broken down in the clearance between the ends of the rotor blades and the stator wall. The product is forced out through the stator and projected back into the main body of the mix as fresh material is simultaneously drawn into the workhead. 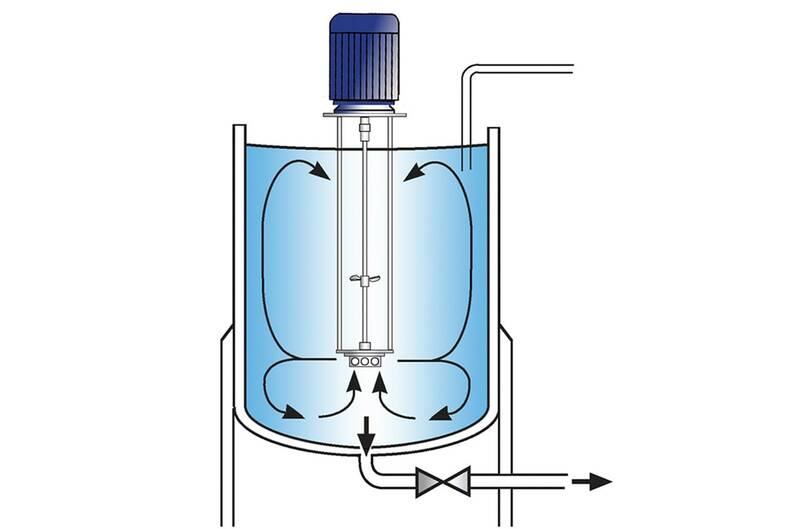 The entire contents of the vessel pass through the workhead in a short mixing cycle, ensuring hydration is rapidly completed. Significantly better yield than can be obtained by traditional methods. Improved product quality and consistency.